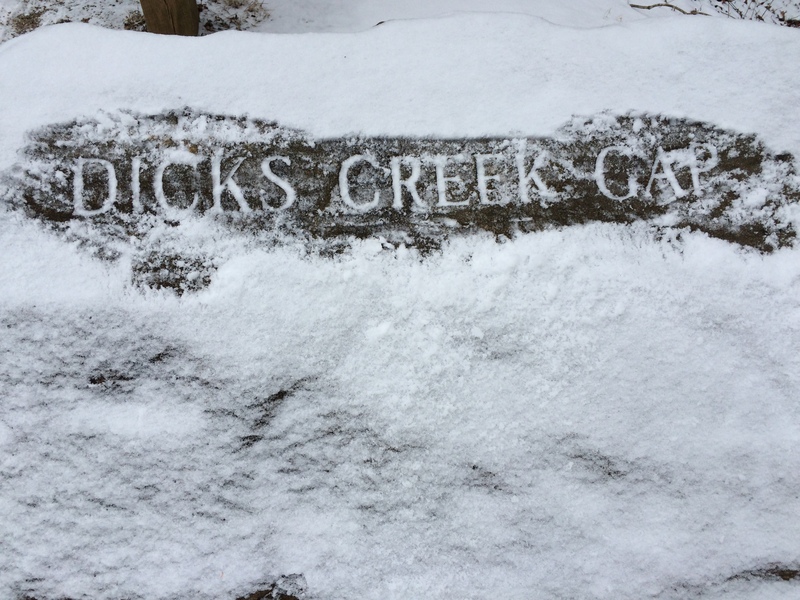 Great Smoky Mountains National Park, February 20, 2015 — I’ve spent the past week gettin’ ready for love. Oh, not THAT kind. 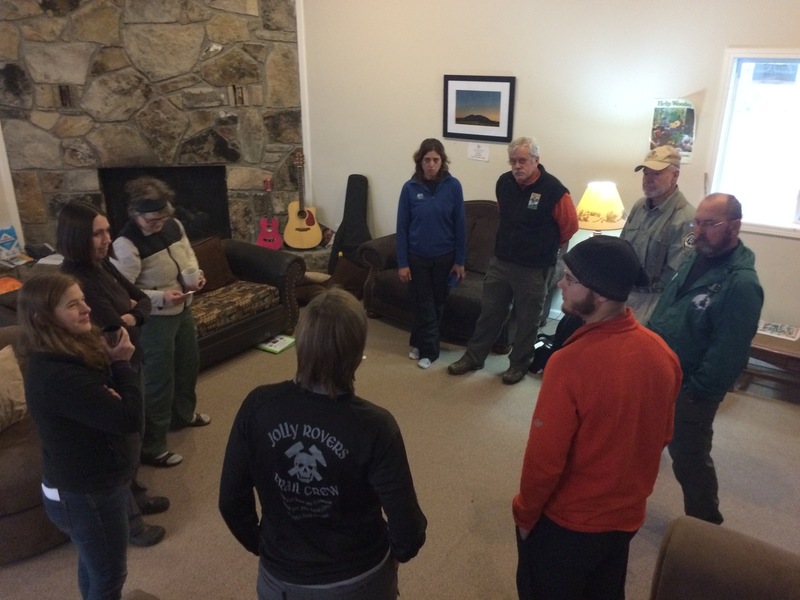 I’ve been with a group of people training to assist hikers on the Appalachian Trail this year. We love the trail and the people who hike on it. Our base camp is a modern style house from the late 50s or early 60s owned by the National Park Service. During the summer it is basecamp for the trail crews that work in the park. Our mission is to educate hikers primarily on “Leave No Trace”™ principles, encourage them and help them in practical ways. An estimated three million people walk at least some distance on the Appalachian Trail each year, so Leave No Trace is a big deal. The national scenic trails, of which the AT is only one albeit the most famous, are being “loved to death. The number of users continues to increase at a high rate. Therefore, the impact on the environment from human footsteps alone is enormous. Add their feces and urine, toothpaste, dishwater, dropped litter, abandoned gear, fires, animal disturbance and all the rest together and the sum is enormous. Unfortunately, individual hikers fail to appreciate that their impact is additive to all the others. That’s why Leave No Trace is more than Pack it in. Pack it out. Hikers are expected to plan and prepare for everything they might encounter on their hike. Understanding how and where to camp prevents erosion and unsightly scars. Knowing how to dispose of human waste properly is critical to preventing water contamination and disease. Respecting wildlife, fellow hikers and campers, leaving what you find undisturbed and generally being considerate round it out. 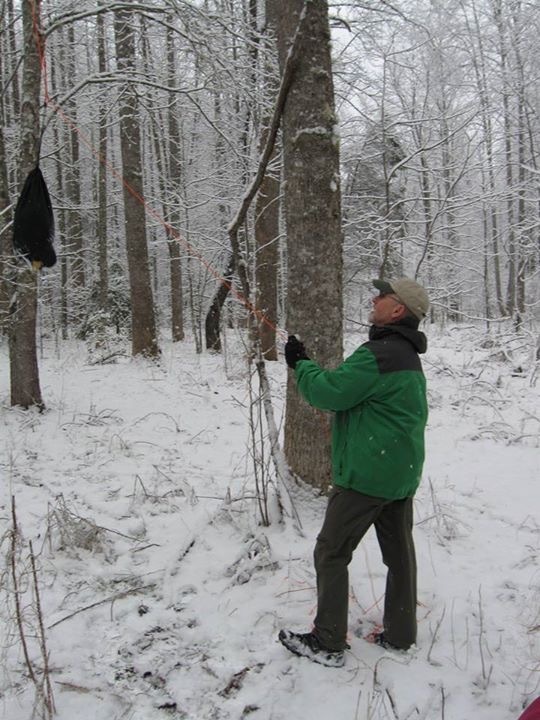 Here I’m demonstrating how to hang a food bag in a way that is not tied to any tree. 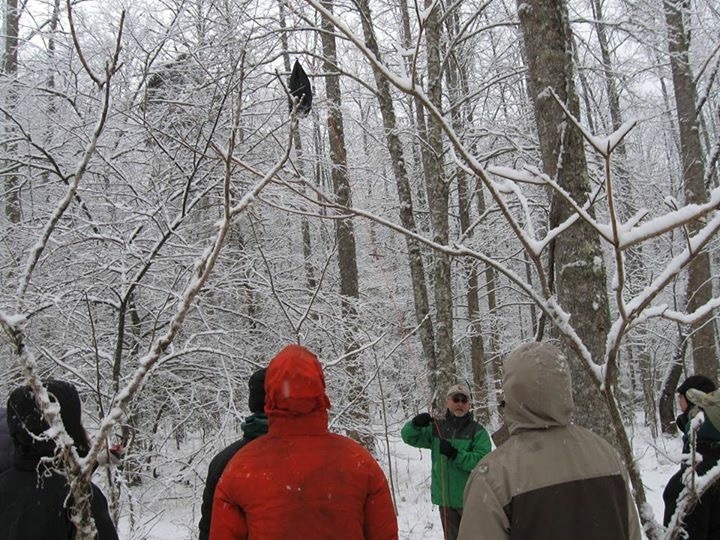 Bears have learned to break ropes tied off to trees and feast on what falls to the ground! Human food kills bears. Once they become unafraid of humans, bears have to be trapped and moved, or worse, destroyed. They are magnificent animals. Being thoughtless has sad consequences. The AT-wide bear statistics weren’t encouraging. Bear territory is shrinking and the animals are only trying to find food. 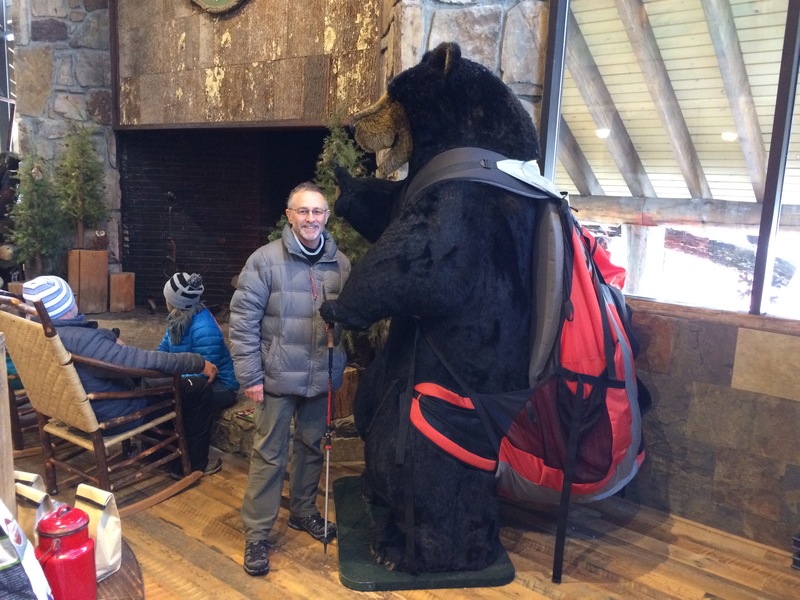 Had a small bear encounter at the outfitter in Gatlinburg, TN. 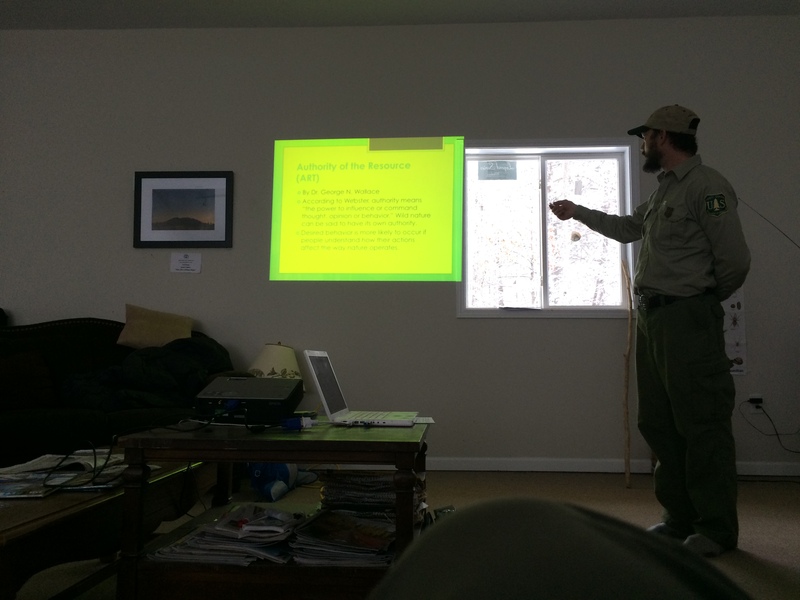 During the week, the Forest Service taught us a lot about hiker/camper psychology and methods to be persuasive without confrontation. Nobody wants to hear that they are a screw-up. Above all, we learned to count small victories. Then there’s the weather. 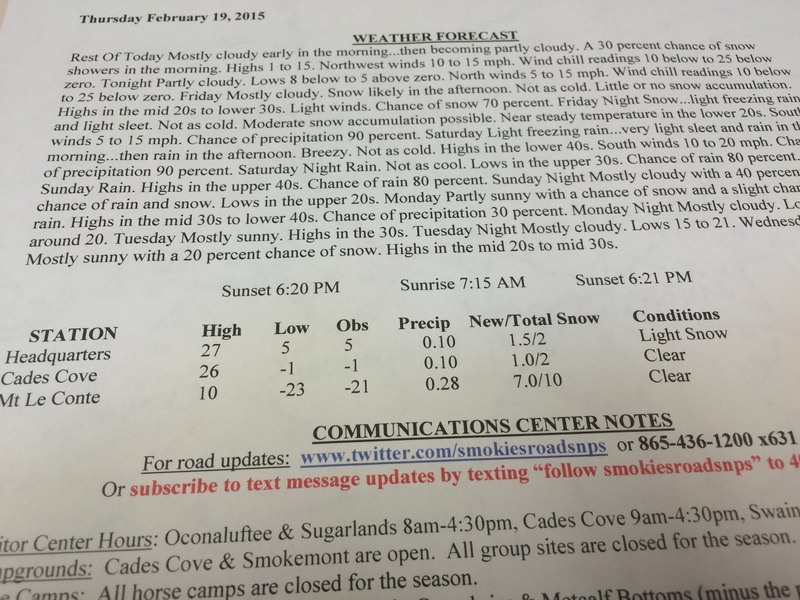 Minus 23 at altitude in the Smokies! Holy frostbite Batman!!! My gear will get me to -15F at best with a miserable night. I’ve experienced and slept outside in -50F in Alaska and northern Minnesota. I can’t carry that kind of gear over these mountains. Best to stay in town when the weather forecast looks like this. Today I drove to Hiawassee in north Georgia to visit a couple of hostels and assess trail and weather conditions. There weren’t that many hikers around. Several had been driven back to or into town by the subzero temperatures. They said the snow wasn’t a big deal, but that there were a lot of downed trees to impede progress. Ridgerunners/trail ambassadors carry large pruning saws to attack blowdown up to about a foot in diameter. At a minimum, we can trim away the branches from a large trunk. The going will be slow next week. Can’t wait. Tuesday the Georgia crew meets with the Forest Service and the local trail club for coordination. Let the games begin! You are doing a very good service. It will be hard work. But, the rewards are going to make you feel good. In a couple of weeks, we are crossing from KY into SC to see my brother between Greenville and Spartanburg. We will cross the AT at some point. Maybe we can arrange some time on it. You’ll love it. 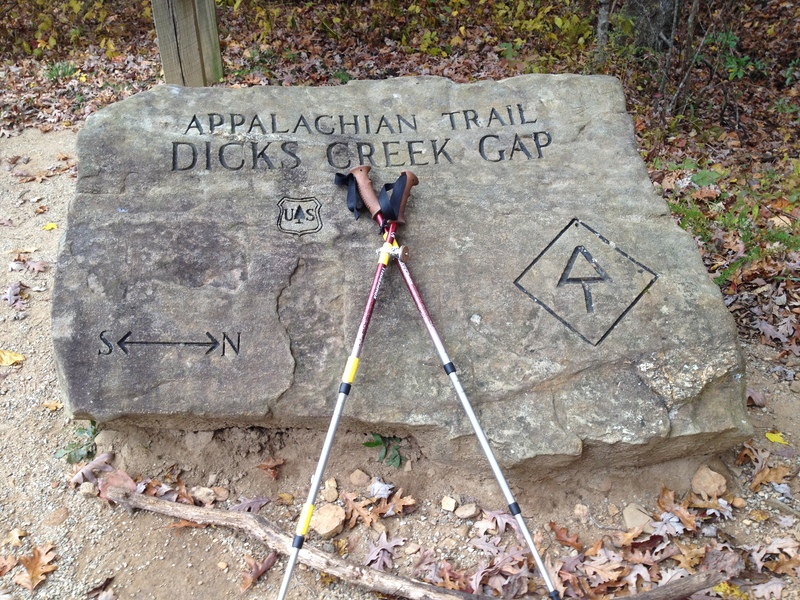 If you cross on I-40, you can either hike or drive up to Max Patch Mountain from Davenport Gap. It’s an awesome place. Just know that the hike is strenuous. Driving would be easier if the road is clear. What a great service the National Park Service, all the clubs and you are doing!! Thank you for your efforts! I’m looking at my 2015 trip which is PA Hwy 309 to NJ. Question…..with the elevation ( especially at Lehigh) would it be better to start off in NJ and head south back to 309? 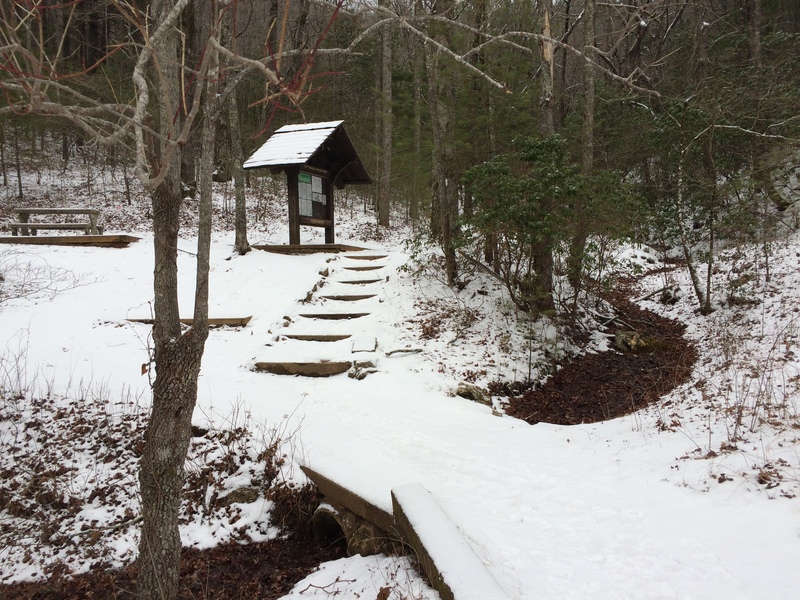 Looking for your thoughts on that……..
There’s a blue blaze “winter trail” around the steepest part of Lehigh. Other than that, I don’t think it makes much difference. Be sure and check out the pie store in Delaware Water Gap. Another thought. You’re going to experience Pennsylvania rocks for real on that section. Will check out the pie shop for sure!!! I sent a dvd copy of my pictures to you. I hope I can hike a couple of days with you. The time I spent with you and Dianne was a huge hi light of my thru hike. I would LOVE that!! When I head out I will let you know. Right now my foot is dictating what I do and when I do it. If I can’t make first week of May it willhave to be late Aug/ Sept. My sister is still thinking she wants to come with me. First lemonade is on me!!! Great work by following your passion.